This is one of the most interesting aspects of being a Coach. I do not give advice; I do not presume to have the answers. YOU have all your own answers! Yes! You do! 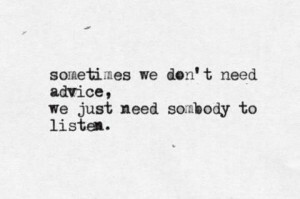 And, sometimes you simply need someone who will listen to you as you muddle through all the answers; someone who will ask you the questions you need to answer and listen until you find the answer that is there all along; someone who will not judge – rather will ask: Have you had enough? How has that been working for you? Is that the truth? What would it be like to have someone who will support you in a safe environment as you search within? 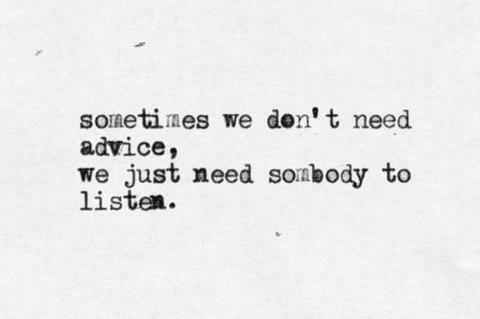 Do you need someone to listen? I’m here……….